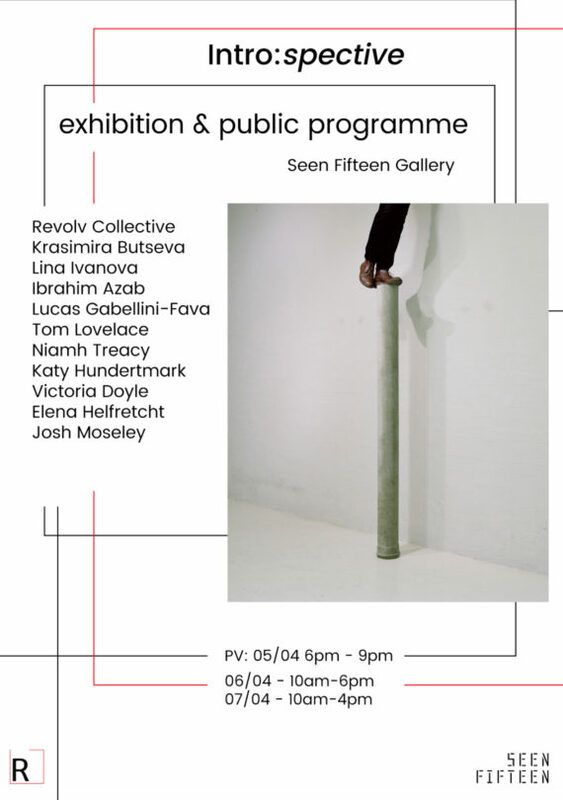 Revolv Collective presents Intro:spective – an exhibition and a series of events investigating notions of the self within photographic practices, taking place between 5th and 7th of April at Seen Fifteen Gallery in Peckham, London. Exhibiting artists include Krasimira Butseva, Lina Ivanova, Ibrahim Azab, Lucas Gabellini-Fava, Tom Lovelace, Josh Moseley, Elena Helfrecht, Victoria Louise Doyle, Katy Hundertmark and Niamh Treacy. Intro:spective forms a dialogue between the self and photographic practices; employing darkroom and experimental techniques, smartphone and medical examination imagery, sculpture, installation, performance and sound to uncover fabricated and existing landscapes, the seen and unseen. How has photographic practice been translated into performance and in what way does it define the boundaries of the image? What roles do staging and uncertainty play within photography? A panel discussion led by Revolv Collective with the artists Tom Lovelace, Jonny Briggs and Alexandra Davenport will further explore these questions in relation to the self within contemporary image making. Book a free ticket. The five selected artists will participate in a crit in response to the work on show. Krasimira Butseva is an artist, writer and curator based in the London. Krasimira Butseva employs different media to tell stories exploring trauma, personal and collective histories to bring back the voices of the past, particularly in relation to Eastern European history, politics, culture and memory.